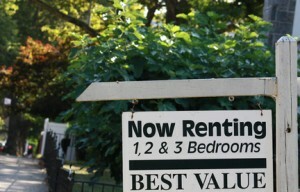 Short term rentals are gaining in popularity. This week, landlords in Atlantic City were granted a reprieve from a local ordinance that prevents short term leasing. Property owners successfully argued that they were entitled to the extra income that could be generated from shorter term leases. The practice of renting a spare room in an apartment or condo short term has gained widespread acceptance, especially in large cities. Short term rentals are popular for a number of reasons, not the least of which is the premium rent that can be charged, especially for landlords willing to go the nightly route. However, short term rentals are also a game-changer, and the transition needs to be approached with caution. The laws may vary from long to short term rentals, therefore existing or familiar lease documents may not do double duty. Eviction notice periods, transferring of utilities, and renewal clauses may need modification. Insurance coverage could be compromised with the new change in purpose. Also, many short term rentals come furnished. This will require a thorough inventory, and replacement of items can cause a slow down in turn-around times. One of the greatest risks in short term rentals is the lack of thorough tenant screening. The problem may be compounded by the use of referral services, like the popular Airbnb, which earlier this year celebrated booking five million rooms around the world. Airbnb was forced to make a public apology last week for its lack of screening after a host made her tenant from hell story public. The woman claims one of the tenants referred through Airbnb’s online service ransacked her home, stole her heirloom jewelry, passport, cash and electronics, and may have photocopied her birth certificate and Social Security card. Airbnb has announced changes to its procedures, including a $50,000 damage guarantee, in an attempt to quell recent bad publicity. It also has retained a security consultant. Short term rentals provide the best cover for criminals and irresponsible tenants because of the high degree of anonymity such an arrangement provides. Once a person is in, and develops rapport with the landlord, they may renew for longer periods without ever having undergone a tenant background check. If the tenant screening process is casual, the results may be disastrous. The best way for a landlord to proceed with a short term rental is to come up to speed on any laws that may apply, and to take personal responsibility for screening applicants by conducting a thorough background check on any tenant, regardless of the proposed length of stay.